শিবিরের হাতেই খুন হয়েছেন মাসুদ! — with Alamin Khabir Rubel, Tonmoy Ifty, Shahadat Hossain Nahid, Rangpur Chatro League, Moon Aziz, Netay Sarker,Rejowan Islam, Juktorajjo Chhatraleague Ukchhatraleague, Abu Shaid Robin, Nayan Roy Chowdhury Shohag and Quaium Rifat. Ruhul Quddus Ripon, M.a. Rahim, Juktorajjo Chhatraleague Ukchhatraleague and 20 others like this. Bappy Haven jamat jater sotro. 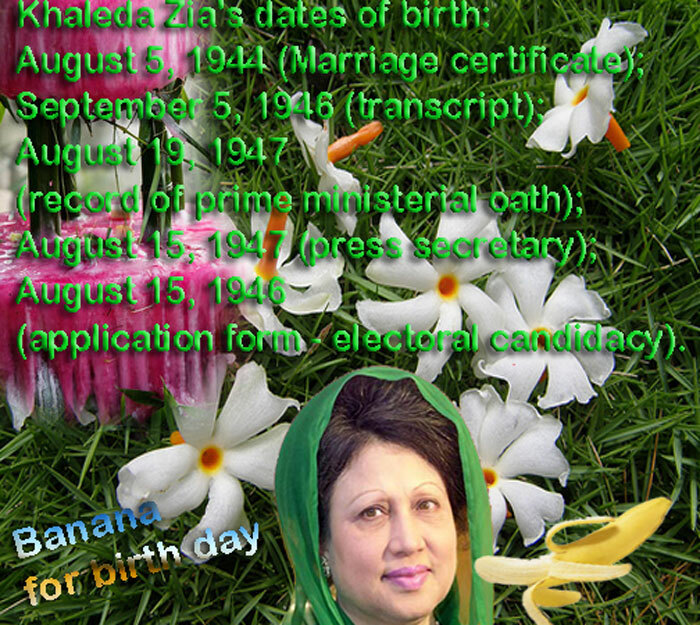 Khaleda's birthday to be observed on Aug 15 Posted on 13. Aug, 2010 by priyo.news in Politics The birthday of BNP Chairperson and Opposition leader in the Parliament Begum Khaleda Zia will be observed on August 15, which day is also the National Mourning Day. Leaders and workers of the party across the country will hold different programmes in observance of the day, said Press Secretary of BNP Chairperson Maruf Kamal Sohel. When asked him that Awami League Joint Secretary General Mahbubul Alam Hanif and former BNP MP Akhteruzzaman urged Khaleda Zia not to observe birthday on Aug 15, Sohel told The New Nation that Hanif's call is illogical and Akhtaruzzaman is nobody of BNP now. He said, "It is no matter who said what about the birthday of Khaleda Zia. The programme scheduled of her birthday will not be fixed as per the speech who what said." According to the party sources, BNP has not taken any programme to celebrate its Chairperson's birthday till now. But it will take programme on the occasion and the birthday will be celebrated by organising different programmes. It may be mentioned, Mahbubul Alam Hanif at a human chain in the capital organised by lawmakers of Mahila Awami League urged Khaleda Zia not to celebrate her birthday on Aug 15 saying Khaleda's birthday on the day is replica. On the other hand, urging not to celebrate the birthday on the day, Akhtar, who was expelled several times from the party, in a statement said such celebration is 'discourteous and indecent'. He warned his former chief that she would be held responsible for any unpleasant incident that may arise from the celebration. It has been 227 days (as of today, 26 August 2007) since the caretaker government headed by Dr. Fakhruddin Ahmed took over (on 11 January 2007). Contrary to the Constitutional obligation of holding elections in 90 days, it will remain in power for more than 700 days by the end of 2008, when the general elections are scheduled to be held as they say till now. What a mockery of the Constitution and the people! Nowhere in the country’s Constitution is a mention made of such an unprecedented form of government. Notwithstanding, such a prominent Constitutional expert as Dr. Kamal Hossain has enlightened us that it is a Constitutional government since it enjoys public support, and our Constitution mentions the sovereign power of the people (something which Jamat-e-Islami and its fundamentalist allies have never recognized). Since it assumed power, the government has been referred to as ‘armybacked caretaker government’ as opposed to Dr. Hossain et al’s conception of the incumbent government. If one is to go by their reasoning, s/he will have to treat the army and the people as being synonymous. However, the majority does not think so, particularly against the backdrop of the unfortunate events that took place on 20-22 August. There’s no denying the fact that the majority of the country’s population supported the incumbent government when it assumed power at a critical juncture, thereby saving the country from an imminent catastrophe. Its sail to power is attributable to the country-wide mass-upsurge the pro-liberation political parties and individuals of the country organized, demanding the cancellation of the 22 January farcical elections that were to be held under the Iajuddin-led caretaker government, which was subservient to the four-party alliance headed by Khaleda Zia and Motiur Rahman Nizami. After the assumption of power, the first and foremost responsibility of the incumbent government was to rescind the 22 August elections. Except for the four party alliance, all the democratic forces deemed its assumption of power as a success of their movement and built Himalayan expectations around it at that moment. Literally sweating day in and day out to prove that Jamat is the only corruption-free political party of the country, let alone nab its leaders. The incumbent government is not half as concerned about the incidents of terrorism and corruption in the recent past as those of a decade ago. The four-party coalition government, for understandable reasons, concealed the incidents of the seizure of ten truckloads of lethal arms and ammunitions in Chittagong. The incumbent government is, for arcane reasons, following in the footsteps of its predecessor. Those responsible for the routine assaults on religious minorities, and the arrest and persecution and killing of secular democratic forces and freethinking intellectuals during the tenure of the coalition government have, none of them, been put to the dock yet. Besides, the unthinkable price hike, severe deterioration of law and order as well as human rights situation, failure to face the floods, power and fertilizer crisis, and the process of shutting down mills and factories thereby turning workers into vagabonds have made a huge dent on the popularity of this government. Where they interrogated them for 30 to 40 hours without producing them to the court. quoting intelligence sources, about the five arrested academics and some other distinguished colleagues of theirs conspiring against the government. The government’s list of persons responsible for the ‘plot’ to dethrone it includes my friend Professor Muntasir Mamoon. According to government-sponsored news reports, the plot was designed in the Indian High Commission in Dhaka a month ago and billions of taka was spent to cause the student community to stand against the army. More than ten thousand people have been made accused and over a hundred cases have been filed against the fictional conspirators in various police stations. Mymensingh?’ The public prosecutor had no answer. Having censured the government for filing a false case against Professor Mamoon, the judge dismissed the case. As they failed to implicate Professor Mamoon, they did not file a case against me on the same charge. Later, they brought sedition charges against me for my interview with BBC Channel 4’s journalists. As the allegation was proved false, the case was dismissed a couple of months ago. However deliberate, false and conspiratorial such cases may be, people like Professor Mamoon and me have been arrested time and again, subjected to inhuman harassments on remand, and made to serve prison terms for months on end. That is how the Khaleda-Nizami coalition government would spite anti-fundamentalist liberal writers, journalists and academics. We could survive it all. However, secular humanists like Professor Humayun Azad and journalist Manik Saha had to quench the coalition government’s thirst for blood by laying down their lives. We watched the 20-22 August incidents on television and read about them in the newspaper. I am an eyewitness of what happened on the street in front of Titumir. Mainly about the galloping price hike. I wonder in spite of finding core reasons of people’s grievance our intelligence agencies are discovering conspiracy of India and secular intellectuals as we observed during Pakistan days. Finance Minister of the coalition government led by Khaleda-Nizami, M Saifur Rahman, would not even understand monga (kind of famine). Similarly advisers of the incumbent government do not know how price hikes affect people’s lives. Rather, they claim that the prices of essentials are lower in our country than in any other countries of the world. Are the advisers aware of the fact that half a day’s wage of a labourer in Europe or America is higher than a full month’s salary of a labourer in Bangladesh? Since coming to power, this government has continued evicting hawkers and slum-dwellers, and shut down mills and factories, thereby turning workers into vagrants. The government ought to realize that it cannot escape public wrath by inventing an Indian-sponsored anti-government plot in the face of common people’s grievances. This is how the Khaleda-Nizami coalition government and all other Pakistan-loving governments of Bangladesh invented an Indian link to the people’s movements in the past. Tofazzal Hossain Manik Mia, the then editor of The Daily Ittefaq and father of the garrulous adviser Barrister Moinul Hossain, was a prominent journalist of the country. In his columns, he would often write one of his favourite clichés – ‘That same old tradition is still going on!’ Despotic rulers could never really fool people with the help of such eerie stories in the past. Only the policy makers of the government and their sycophants can say why the same old mistakes are repeated. From 1948 to 1971 the Pakistani rulers sought to foil any kind of anti-government agitations in Bangladesh by raising the bogey of Indian links, and since the birth of Bangladesh in 1971, successive pro-Pakistan governments have only followed in their footsteps. On 23 August, I saw on BBC a native of the old part of Dhaka ventilating his frustrations, ‘We aren’t a bunch of fools’. If only the government could realize this fact! Bangladesh is neither Burma nor Pakistan. The people of this land liberated the country by fighting a bloody war and sacrificed three million lives for secular democracy. They should not be treated as a ‘bunch of fools’. Honorable Prime Minister President of Bangladesh Awami League Sheikh Hasina has said the opposition leader Khaleda Zia was threatening anti-government agitation to save the war criminals and Islamist militants. She also said the BNP chief is throwing program’s to protect ill-gotten assets and the corrupt. BNP is the unparalleled champion when it comes to backing corruption, terrorism and militancy, Hasina said at a program on Monday in the capital's Osmani Memorial Auditorium organized by Awami League to observe the historical 'Six-Point Day'. "When we have started procedures of war crimes trial and launching drives against the militants, she (Khaleda) has also started declaring movement programs," the prime minister said. She criticized Khaleda's husband and former president General Ziaur Rhaman for siding with the collaborators of the Pakistan army. "The war crimes trial process had started, 10,000 criminals were being tried, (former Jamaat-e-Islmai chief) Ghulam Azam was stripped of his Bangladesh citizenship. Ziaur Rahman, however, stopped everything after assuming power. "He had freed those who were behind bars and reinstated them into politics by creating a new political party," said Hasina, alluding to BNP's formation. Zia had betrayed three million martyrs, she said. The ruling party chief also slated Zia for killing hundreds of army officials, starting with the very people who had helped him to hold onto power. Awami League advisory council member Suranjit Sengupta, also present on the occasion, urged the opposition chief to join the budget session of the parliament. Not on the street, they need to join parliament if they want to talk on the budget, she added. But the question remains whether HUJI tried to kill Hasina on their own or it was a political assassination plot linked by BNP to take out the opposition. Like every other political massacre the 21st August grenade attack on Hasina has no clear motive whatsoever and after 4 years of investigation we are not certain whether those who were behind this ghastly attack have finally been exposed. Will we be able to know the truth? Why always Sheikh Hasina an progressive force like Kazi Aref,Udichi,Ramna Batomul,Progressive Journalists of Khulna( Humayun Kabir,an Others),Poet Shasur Rahman ,Dr Humayun Azad and others were target of terrorists?Why no one of so called nationalist or self styled Islamic force came under attacks of terrorists? What does this mean? These terrorists act as agents of identified beneficiaries to make the politics clean of progressive patriotic democratic forces to serve the interest of the so called nationalists.Bangla Bhai wanted to talk with Journalists before execution to tell the truth but was not allowed.If he could talk he woul definitely have exposed many involve in making him big.In Bangladesh politics of killings will never be over until all killings are fairly an openly tried. Ziaur Rahman, a Major in the Pakistan Army, Zia’s unit (2/5 East Bengal Regiment) took control of the Kalurghat radio station in Chittagong at the onset of the Bangladesh Liberation War and on behalf of Bengali nationalist leader (Father of the Nation)Bangabandhu Sheikh Mujibur Rahman.made the most widely transmitted declaration of independence of Bangladesh which was the third and last in a series of such declarations. Recognized as a war hero, he was honored with the second highest national award Bir Uttom in 1972. A high-ranking accomplished officer in the Bangladesh Army, Zia was appointed chief of army staff in course of dramatic events that evolved following the assassination of Sheikh Mujibur Rahman in 1975 by a group of junior military officers and these army personnel met Ziaur Rahman at his residence to killed Sheikh Mujibur Rahman. This was followed shortly by another coup and counter-coup and ultimately led to the consolidation of power under Zia as Deputy Chief Martial Law Administrator. The counter-coup, sometimes referred to as a sepoy mutiny was organized by the socialist Colonel Abu Taher. Ziaur Rahaman assumed the office of the President of the country in 1977 He engaged himself in politics by floating a political party that came to be known as janodal. Later he founded the Bangladesh Nationalist Party. For achieving popular support, he adopted policies bringing the government increasingly under Islam, which he included in the national constitution. It has been alleged that Zia helped individuals involved in the assassination of Sheikh Mujib rehabilitate home and abroad, immunized by the Indemnity Act. He also came to be known as Mr. Clean for his unquestionable integrity. On August 15, 1975 Sheikh Mujib and his family were killed by a group of military officers. One Sheikh Mujib’s cabinet ministers Khondaker Mostaq Ahmad was appointed the president and, subsequently, Major General Ziaur Rahman was appointed as the army chief after removal of Major General Shafiullah. However, the coup of 15 August caused a period of instability and unrest in Bangladesh and more so across the ranks and files of the army. Brigadier Khaled Mosharraf and the Dhaka Brigade under Colonel Shafat Jamil made a counter-coup on November 3, 1975, and Ziaur Rahman was forced to resign and was put under house arrest. A third coup was staged under Colonel Abu Taher and a group of socialist military officers and supporters of the left-wing Jatiyo Samajtantrik Dal on November 7, called the “National Revolution and Solidarity Day” (Sipoy-Janata Biplob) (Soldiers and People’s Coup) Brigadier Khaled Mosharraf was killed and Colonel Jamil arrested, while Colonel Taher freed Ziaur Rahman ( After few months Ziaur Rahman arrested and execute Colonel Taher )and re-appointed him as army chief. Following a major meeting at the army headquarters, an interim government was formed with Justice Abu Sadat Mohammad Sayem as chief martial law administrator and Zia, Air Vice Marshal M. G. Tawab and R ear Admiral M. H. Khan as his deputies. Zia also took on the portfolios of home affairs, finance, industry and information along with becoming the army chief of staff. However, discipline in the army had totally collapsed and it was difficult to disarm the soldiers and put them back to the barracks. Fearing that Colonel Abu Taher, who in fact rescued him few months earlier, would attempt to organise another revolt, Zia ordered his arrest. Following a secret trial in a military court, Zia authorised the execution of Colonel Taher on July 21, 1976. Zia became the chief martial law administrator following Justice Sayem’s elevation to the presidency on November 19, 1976. He tried to integrate the armed forces, giving repatriates a status appropriate to their qualifications and seniority. While this angered some veterans of the Mukti Bahini, who had rapidly reached high positions following liberation in 1971, Zia defused potential threats from discontented officers by sending them on diplomatic missions abroad. Ziaur Rahman Rehabilitate the war criminals and former Prime Minister Shah Azizur Rahman was one of them (Bengali: শাহ আজিজুর রহমান) (1925 – 1988) was a Bangladeshi politician who served as the Prime Minister of Bangladesh. However, he was the subject of considerable controversy for his collaboration with the Pakistan Army against the struggle to establish Bangladesh. Shah Azizur Rahman was born in Kushtia of the province of Bengal (now in Bangladesh). As a student political leader, Rahman participated in the Bengal Provincial Muslim League and the Pakistan movement. At the outbreak of the Bangladesh Liberation War, Rahman supported the Pakistani state forces and denounced the Bengali nationalist struggle, joining Bengali politicians such as Nurul Amin, Golam Azam and Motiur Rahman Nizami. He would lead the Pakistani delegation to the United Nations in November 1971, where he would emphatically deny that the Pakistan Army’s Operation Searchlight had degenerated into genocide. Following the defeat of Pakistan in the Indo-Pakistani War of 1971, Rahman continued to reside in Pakistan. In the post-war period, authorities estimated that over a million people had been killed in Bangladesh by Pakistani state forces and collaborating militias. Rahman would continue to lobby Muslim nations in the Middle East to decline diplomatic recognition to Bangladesh. Shah Azizur Rahman was permitted to return Bangladesh after liberation war. Shaikh Mujibur Rahman was a good friend of him and released Shah Aziz from jail. There are saying that while Azis was in prison Mujib provide his family 3,000 taka each month. When Major General Ziaur Rahman became the President of Bangladesh, zia allow Aziz to take part in national election and appointed him to the post of prime minister. Rahman also helped Zia organise the Bangladesh Nationalist Party, which won the 1978 parliamentary elections. Both Zia and Azizur Rahman have received fierce criticism for issuing the Indemnity Act, which gave amnesty to the killers of Sheikh Mujib and legalised the military coups of 1975. (Bengali: গোলাম আযম) (born 7 November 1922), is a Bangladeshi political leader who is recognized by the Bangladeshis as one of the worst war criminals of the Liberation War of Bangladesh. The former Ameer of Jamaat-e-Islami Bangladesh, he opposed the independence of Bangladesh both during the liberation war and upon its liberation on December 16, 1971 and lead the formation of Shanti Committee, Razakar and Al-Badr to thwart the freedom fighters of Bangladesh. He also lobbied against the acknowledgment of new-born Bangladesh after 1971. He was a permanent resident of England until 1978, and maintained Pakistani citizenship until 1994 due to the decision by the Bangladeshi government at the time to refuse him citizenship. From 1978 to 1994 he lived in Bangladesh illegally without any authorized Bangladeshi visa.In 1994, the Supreme Court upheld the decision to restore his citizenship of Bangladesh as a matter of birth-right.He was the leader of Jamaat-e-Islami Bangladesh until 2000. Azam became the secretary of the Islamist political party, Jamaat-e-Islami Bangladesh, in 1957. Later, he became the Ameer (president) of the Jamaat in East Pakistan in 1969. He was also a participant in the formation of the Pakistan Democratic Alliance in 1967. During the Bangladesh Liberation War of 1971, Azam played a central role in the formation of Peace Committees, which declared the independence movement to be a conspiracy hatched by India. Azam was one of the founding members of this organization. After the genocide of 25th March Pakistani forces lost control of Bangladesh. To help control this situation Pakistani army set up a network of peace committees superimposed upon the normal civil administration as army couldn’t rely upon that administration. Peace Committee members were drawn from Jamaat-e-Islami led by Ghula Azam, Muslim League and Biharis. Peace committee served as the agent of army, informing on civil administration as well as general public. They were also in charge of confiscating and redistribution of shops and lands from Hindu and pro-independence Bengali- mainly relatives and friends of the freedom fighters. Almost 10 million Bangladeshis fled to neighboring India as refugees. The Shanti Committee also recruited Razakars. Razakars were common criminals who had thrown their lots with the army. Dhaka – The Supreme Court in Bangladesh has stayed for a week the launching of the open trial of Dhaka Mayor Sadek Hossain Khoka on corruption charges, officials said Tuesday. The highest judiciary granted bail to Khoka, urging the interim government to submit all proof and documentary evidence to the court by next week before the legal proceedings can start. The bail, which expires on July 16, covered the arrest warrants for the mayor and his close family members. Earlier senior metropolitan judge Azizul Haque issued warrants to police to detain the mayor, his wife and two children to stand trial for illegally acquiring huge wealth and concealing the same from the tax authority. The Anti-Corruption Commission filed the case in April against Khoka, who is also a stalwart in the opposition Bangladesh Nationalist Party (BNP). The new list contains the names of Awami League leaders Syeda Sajeda Chowdhury, Tofael Ahmed and Kazi Zafrullah, BNP LEADERS DHAKA MAYOR SADEK HOSSAIN KHOKA, Khulna Mayor Sheikh Taibur Rahman, former state minister Maj (retd) Kamrul Islam, former Deputy Minister for Food Asadul Habib Dulu, former BNP MP Syed Mehedi Ahmed Rumy and former BNP MP and ex-Red Crescent Society chairman Shahidul Haque Jamal. Prominent businessmen Latifur Rahman of Transcom, Abdur Rouf Chowdhury of RANGS Group, Abdul Matlub Ahmed of Nitol Group and Abul Khair Litu of Bengal Group are also in the list. Others who are reportedly on the list include former BNP ward Commissioner Nobiullah Nobi, former BRTC chairman Tamur Alam Khandaker, BNP leader from Rajshahi Shis Mohammad, former BNP Shahidul Islam, former BNP MP Abul Khair Bhuiyan, Dr Dewan Salauddin, former state minister for Energy AKM Mosharaf Hossain, Ward commissioner Saidur Rahman Shahid, former BNP MP Fazlul Haque Milon, former Finance Minister Saifur Rahman’s son Shafiur Rahman Babu, DCC ward commissioner Salimullah Salu, former MP Abdul Gafur Miah, Srimongal pourasava chairman Mohsin Miah alias Modhu Miah, former BNP MP Ilyas Ali, former BNP MP Professor Zoynal Abedin alias VP Zoynal, former BNP MP Sarder Sakhawat Hossain Bakul, AL leader AKM Jahangir Hossain, former MP Mirza Abdul Latif, AL leader Shawkat Hossain Hiron, former Chatra League presidents Ishaq Ali Khan Panna and Enamul Huq Shamim, former chief whip Abul Hasnat Abdullah’s son Sadek Abdullah, Dhaka City AL acting president Rahmat Ullah, former Jatiya Party MP Nasim Osman, former JP MP Moshiur Rahman Ranga, Liberal Democratic Party presidium member Professor Jahanara Bagum, former BNP MP Mohammad Ali Zinnah, Jamaat leader Maulana Samiul Huq Farooqi of Gazipur, former Islami Bank chairman Meer Kashem Ali, former Law Secretary Alauddin Sarder, former Communication secretary Rezaul Hayat former Prime Minister Khaleda Zia’s APS Abdul Matin, Khaleda’s APS Shamsul Alam, Khaleda’s protocol officer Faridul Islam, former Prime Minister Sheikh Hasina’s APS Alauddin Nasim, former DC of Bagora and Director General of Disaster Management Rafiqul Mohammad, former additional chief engineer of Roads and Highway Khondoker Azadur Rahman, former additional chief engineer of Roads and Highway Giusuddin Tulu, former chief engineer of Roads and Highway Fazlul Haque, former Public Service Commission member Musleuddin, former chief Engineer of Department of Education Engineering Abdul Mannan, chairman of Bengal Group Abul Khair Litu, managing director of Eastern Group Manzurul Islam Babu, businessman Anis Ahmed Guki, businessman Shawkat Hossain of Chittagong, chairperson of Prashika Dr Kazi Faruque Ahmed, chairman of Jubok Abu Sayeed Chowdhury, former Adviser of Caretaker Government Justice Fazlul Haque, Engineer Aftab of Reza Construction, Civil Aviation Authority chief engineer Harunur Rashid, former Director General of Agricultural Extension Department Ibrahim Khalil, former director general of Drug Administration Professor Habibur Rahman, former assistant general manager of Bangladesh Bank Golam Mostafa, CBA leader of Rajuk and Amir Khasru, executive engineer of DCC Syed Mozaffar Hossain, former managing director of Essential Drugs Harunar Rashid, former managing director of Teletalk M Obaidullah, divisional Engineer of T and T Mohammad Towfiq, former deputy director of Agricultural Extension Department Javed Iqbal, officer of Water Development Board Zahirul Karim, additional Commissioner Golam Mostafa, National Board of Revenue member Ali Ahmed, Hazi Aminul Haque Shamim, owner of Momen Construction Abdul Monem, managing director of Bangladesh Gas Field Company Shahidul Abedin, Abdul Awal Talukder of Talukder Money Exchange, businessman of Narsingdi Abdul Quader Molla and former Bangabhaban official assistant secretary Nasir. Former premier and BNP Chairperson Khaleda Zia went berserk and yelled at the top of her lungs asking whether her son was such a thief that he would have to flee the country, said former state minister for home affairs Lutfozzaman Babar during questioning by the Task Force for Interrogation (TFI). Babar was recalling his experience in planning Tarique Rahman’s supposed departure from the country to avoid the incarceration he is currently in. “Before Tarique Rahman was arrested, we used to get information from different sources that he might get caught. So I, Mannan Bhuiyan, Falu and Qamrul held a secret meeting in Mannan’s residence and decided that Tarique would be sent abroad for two or three years,” Babar told the TFI. He said they planned that Tarique would be brought back home with a hero’s welcome if BNP would come back to power again. “As everything got finalised Falu narrated the matter to Khaleda Zia using my name before he took her to Hawa Bhaban in the same evening. Listening to the plan, madam went ballistic and began shouting at the top of her lungs in her residence,” Babar said. “Arriving at Hawa Bhaban, she started yelling again asking where are the conspirators Mannan Bhuiyan and Babar? 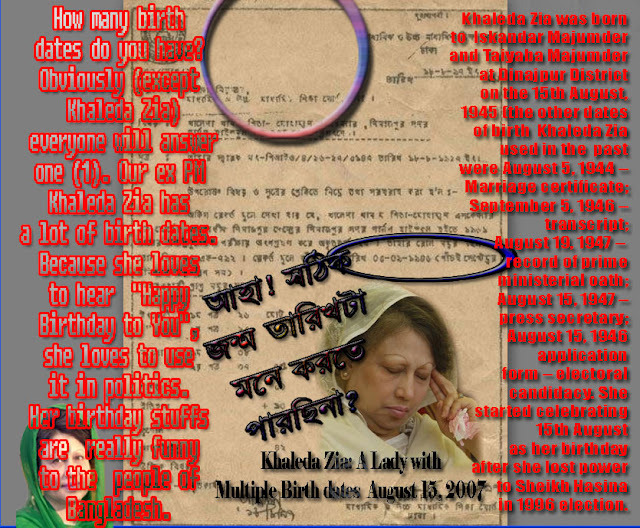 Is my son such a big thief that he will have to flee the country?” Babar quoted Khaleda as yelling. Babar also told the interrogators that about a year or so ago Khaleda Zia called him in and told him that she had Tk 20 crore in different places which she wanted to keep with one Kamal. She also told him that the money would later be used during elections. Sources claimed that Babar told the investigators that Khaleda wanted to know from him whether he knew any trustworthy people with whom the money could be kept safely for a year, and in reply Babar told her that finding such people would be a very tough task for him. Babar also told the interrogators that when Khaleda raised the issue again on the next day when he went to meet her, he asked his brother to keep the money. His brother then got angry with him telling him not to get involved in such matters warning him that those kinds of activities would come back to haunt him one day. Babar said a day later he asked his brother whether he could help him as his ‘madam’ had given him the task trusting him. According to the sources, Babar told the interrogators that some days before he asked Khaleda for an approval to open up a bank and then he sat with some people to work out a plan. However, they told Babar that banks require a big amount of investment and the money would be collected in the name of BNP, a portion of which would be given to Babar as his share. Babar also said he whitened a large amount of money through his brother in the name of a company after his meeting with the aspiring bank owners. The former home ministry boss also said later he brought the matter to Khaleda’s attention who introduced him to a man who later turned out to be the person who had arranged to hundi Tk 20 crore, a portion of which Babar used to invest in the banking business he was trying to embark on. Babar said suddenly he came to know that the Tk 20 crore was part of the money that had been taken from Warid Telecom as a bribe. At the age of 42 Tareq made his first significant step in politics in 2002, when ruling Bangladesh Nationalist Party was announced that he had been promoted to a senior position. Mr Rahman rapidly acquired a reputation for being a “hatchet man” for enforcing party discipline. Mr. Rahman appears to prefer working behind the scenes. 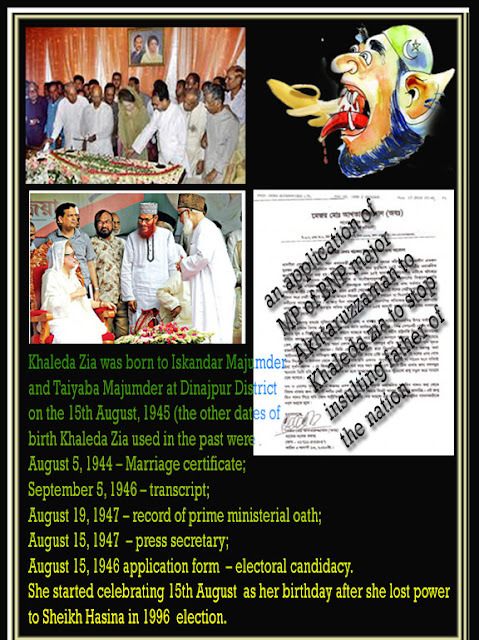 His private office “Hawa Bhavan” was widely viewed by political opponent Awami League as the driver of the country’s mismanagement and corruption during 2001 to 2006 while his mother Khaleda Zia was the Prime Minister. He rarely speaks to the press, and is renowned for his reticence in the few media interviews he has given. Under the present care taker government on March 7, 2007, Tareq Rahman was arrested by law enforcing Joint Forces. He is charged with extortion and other corruptions. He initially denied the charges. But later the situation turned dramatically when other arrested BNP political leaders started to disclose information on Tareq Rahman’s corruption. Especially the arrest of former state minister for home affairs Lutfozzaman Babar on May 29, 2007 brought a huge downfall of Tareq’s public image. Mr. Babar provided evidence of Tareq Rahman’s corruption. But trail has not started for these charges yet. Khaleda Zia claimed in the court that her sons had not committed any crime as they did not need money. Bangladesh’s Interim Government has tightened its grip on civil liberties while it’s anti graft campaign gathers speed, sparing none in its path. Yesterday evening Fakhruddin Ahmed’s provisional administration outlawed all political activities “public or private”, because “certain parties have been misusing flexibility conceded to them”. A state of emergency has been in act in the country since January 11th last, following weeks of violent protest between activists from the majority political parties. The general elections, which were due to be held on the 22 of February, have been put off indefinitely. Fakhruddin – ex govern of the central bank – has pledged to put an end to corruption before establishing a date for elections. In recent weeks security forces have arrested over 150 politicians, charged with corruption. Yesterday it was the turn of Tareque Rahman, joint Secretary General of the Bangladesh Nationalist Party (BNP) and son of ex leader Khaleda Zia. Police are holding him for interrogation on charges of extortion to the value of 145 thousand dollars; but other claims against him are far more serious. Analysts in country contacted by AsiaNews tell that in the last 5 years of the BNP government – lead by his mother – Tareque was “the epicentre of high level crime and corruption: an example are the billion dollar contracts approved by him, such as those given to Chinese companies to build enormous power plants. These companies did not posses the technical now how to build the plants which from the very start have struggled to meet 50% of their expected output”. The UN anti corruption agency declared Bangladesh “the most corrupt country in the world” 5 years in a row. In 2006 the prize passed into other hands, leaving Bangladesh in “only” third place. “Corruption is widespread, from the postman to ministers, from teachers to judges” experts note. “People constantly discuss it, politicians make promises, but no one actually believes its levels can even be reduced”. If Ershad is barred from running in next election due to corruption charges, then what about Khaleda Zia and her family members. She must explain to people how her family became one of the richest families in the world from the day of broken suitcase and ragged T-Shirt. Her son Tareque Zia is well known as Mr.10%. By special blessing of Khaleda Zia , from the street Falu Mia earned more than Tk1,000 Cr. Abdul Mannan Bhuiyan became the owner of private TV Channel. Vicious circle of syndicate under direct patronization of Tareque Zia plundered thousands of crores Takas from the pocket of common people by hiking the prices of all commodities. In terms of corruption, Ershad was infant compared to Khaleda Zia’s family all MPs and Ministers of immediate past BNP-Jamaat govt.Most of the people in Bangladesh did not support the massive corruption done by BNP-Jamaat alliance, so people won’t vote for them again. People will vote for a new govt. to punish Khaleda Zia, Tareque Zia and all other MPs and Ministers of immediate past BNP-Jamaat govt.All their properties will be seized by the newly elected govt. to form a National Trust. So, In Coming Election the Main Agenda is to defeat toxic BNP-Jamaat alliance in order to put Khaleda Zia, Tareque Zia and all other thug MPs and Ministers of erstwhile BNP-Jamaat govt. in jail for record breaking misrule and massive corruption. Of the amount, $9 million was given to former prime minister Khaleda Zia’s younger son Koko and $1 million to detained BNP leader Lobi who had close links with detained BNP Senior Joint Secretary General Tarique Rahman and his Hawa Bhaban. Babar also revealed during interrogation that Koko and former finance minister Saifur Rahman’s son Tony took commission from a Chinese company in the name of giving it a contract for supplying telecommunications equipment. He, however, denied his involvement in the deal. “It was my mistake. I even did not go through the file before signing it,” Babar was quoted to have said during interrogation. The former state minister claimed that he had no option but to approve the controversial vehicle purchase for various law enforcement departments “under pressure from the high-ups”. Pacific Motors owned by former foreign minister M Morshed Khan was the prime beneficiary of the purchase proposal. Babar, who is now on a four-day police remand, said BNP’s Senior Joint Secretary General Tarique Rahman was the main backer of Pacific Motors. Meanwhile, Tk 20 crore, which Babar took as bribe from Bashundhara Group, was deposited in the central bank’s government exchequer on Wednesday in nine cheques and pay orders. A Bashundhara Group director told the joint forces that Babar took the money in exchange for not implicating Bashundhara Group owner Ahmed Akbar Sobhan’s son Shafiat Sobhan in the killing of another director of the conglomerate Humayun Kabir Sabbir. After receiving the bribe, Babar allegedly instructed the police not to proceed with the case and the Bashundhara director’s murder still remains unsolved. He also allegedly let Sobhan’s son Shafiat fly out of the country.